BRYAN EATON/Staff photo. 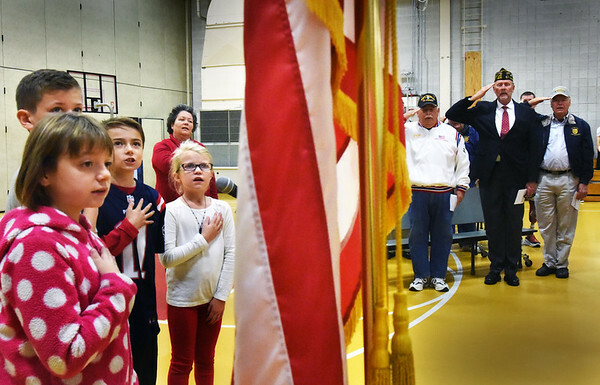 Cashman Elementary School students and local veterans say the Pledge of Allegiance at the beginning of an assembly honoring those who served in the military. The assembly is an annual event for the Amesbury School.